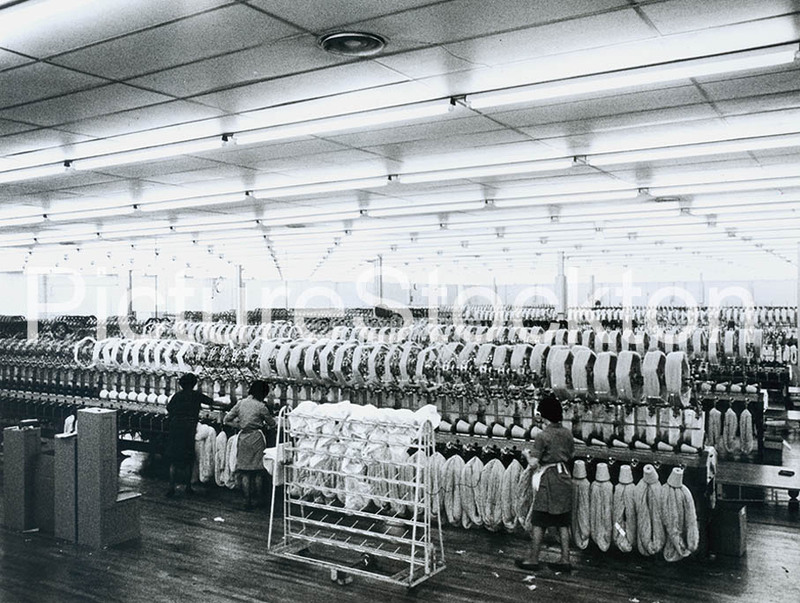 We believe these three photographs show the spinning shed at Patons and Baldwins Wool Factory, Billingham. Can anyone confirm this? As a kid, in the fifties, I just about remember the set of industrial buildings coming into existence in Ross Road and along that stretch of Portrack Lane. Stockton Castings must have been one of the first to be built. The Michaelson Road Bridge in Barrow-in-Furness was built in two stages to replace the old Lift and Roll bridge by Head Wrightson c1960s. 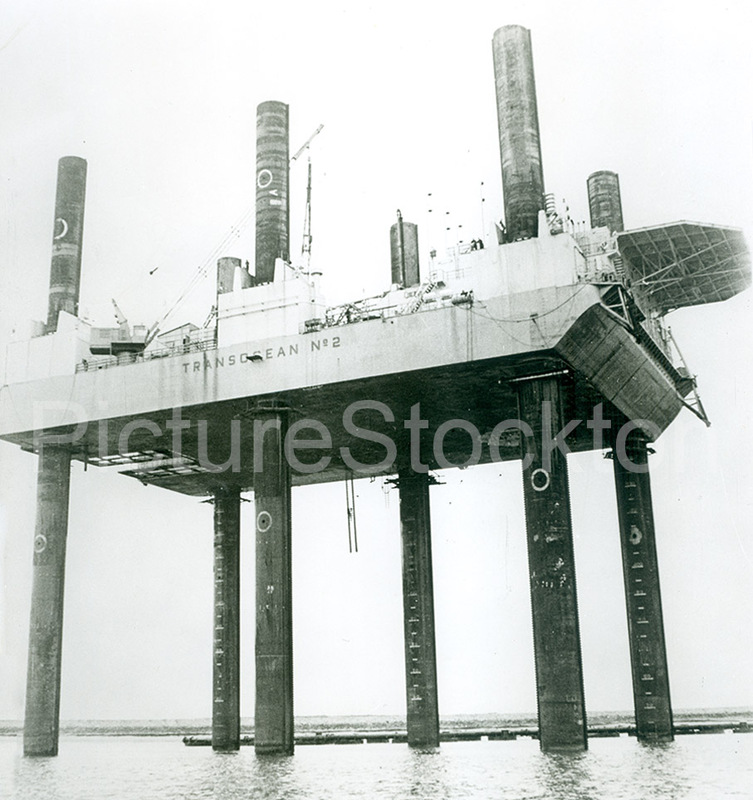 Due to submarines being built in the same area, the bridge was constructed in a vertical position and once complete it was maneuvered into its horizontal position. Photograph and details courtesy of Tony Campbell. 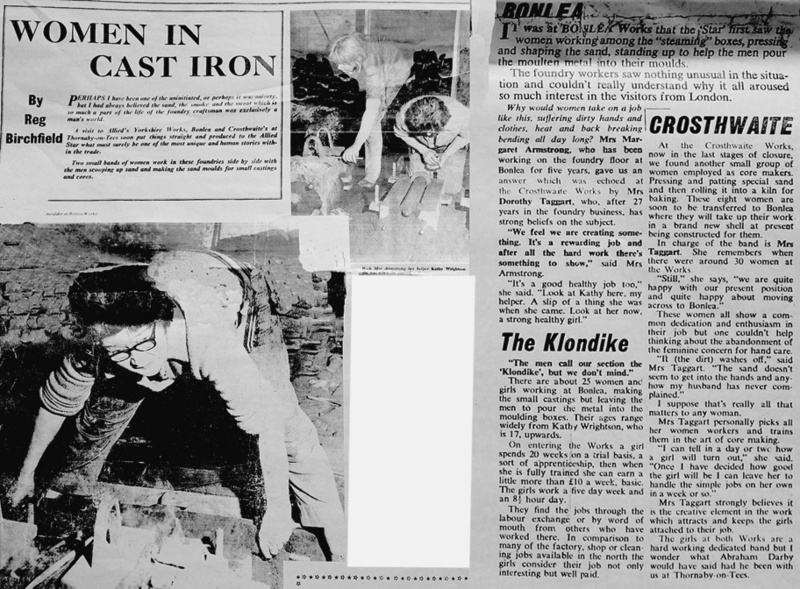 Following on from Philip Moore’s photograph of the Motor Cylinder Department at Crosthwaites in the 1920s, is this ragged article showing that by 1966 Crosthwaites was closing down and the teams moving to the Bon Lea Foundry including 8 women to join the 25 woman already there. The Bon Lea would survive only another 10 years or so. The main photograph shows Margaret Armstrong. Kathy Wrightson a co worker was only 17. I wonder if any Bon Lea workers are still with us? 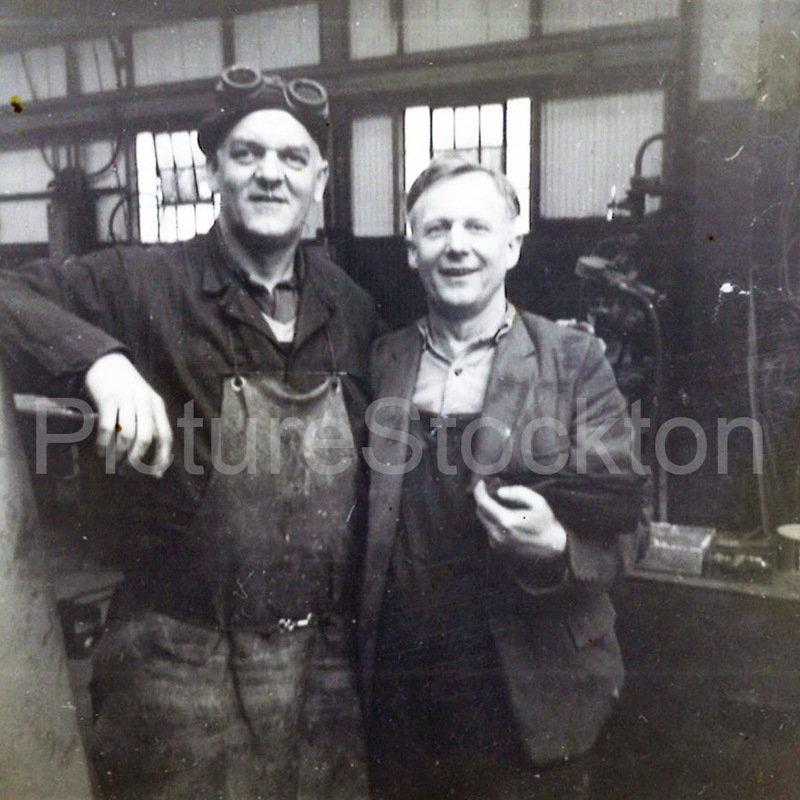 I am researching Thornaby foundries for the Thornaby Lives project and would love to hear from them. Image and details courtesy of Derek Smith. Last I heard Crosthwaite Foundry was called Allied Iron Foundries. My grandfather was Chief Pattern Maker and he is the one on the far right. 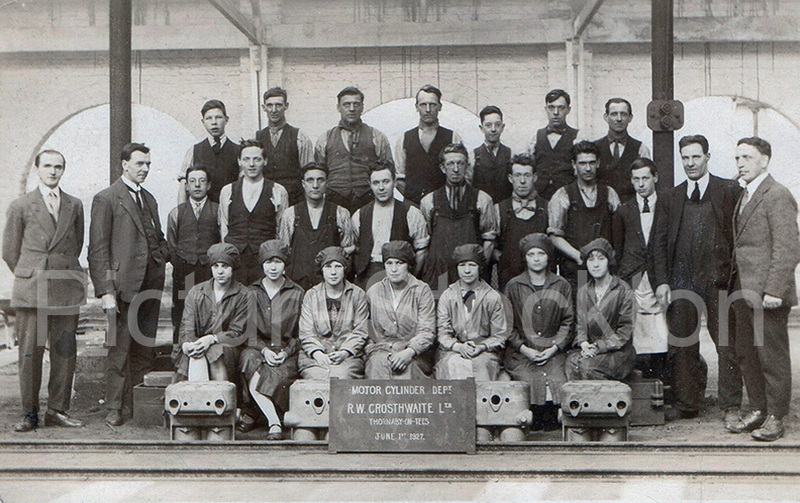 Motor Cylinder Department, Thornaby c1927. Heat exchangers built at Head Wrightson, Thornaby for Dungeness Power Station. The heat exchangers were wrapped in timbers and trunnions added before being launched into the Tees. 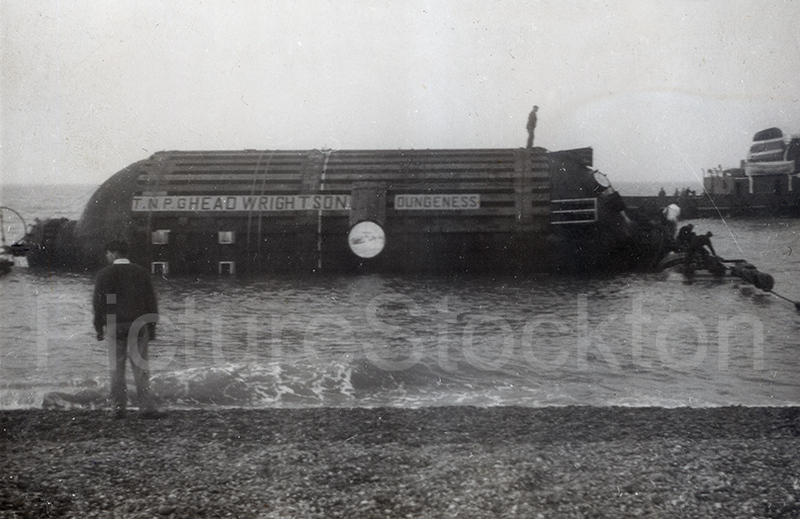 They were towed down to Dungeness and then rolled up the shingle beach before being installed in the power station. 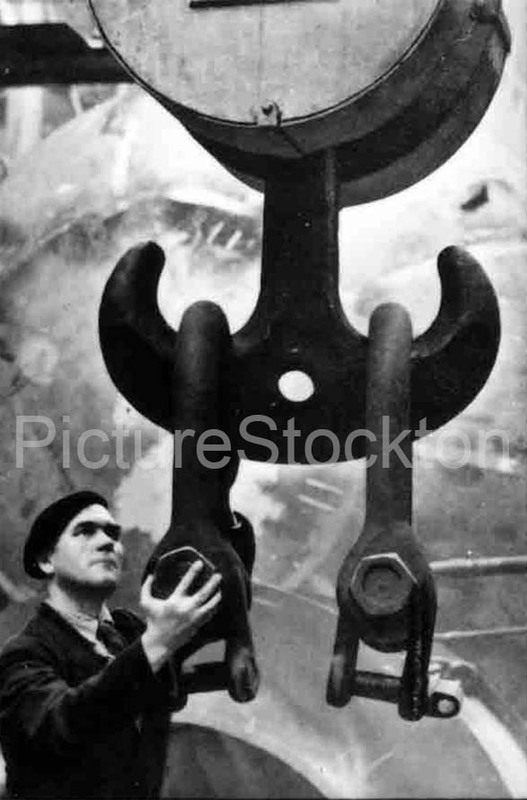 Head Wrightson made the legs for this drilling rig. 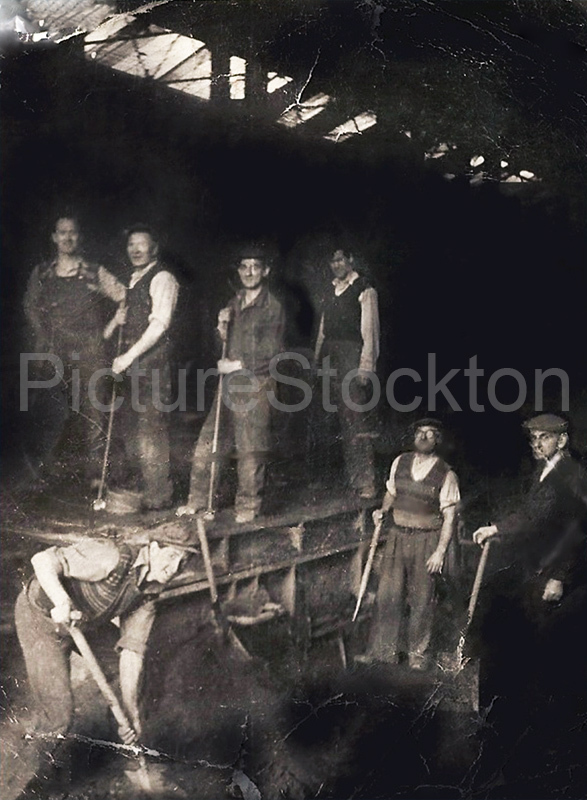 I believe these men are tamping sand around a mould ready for casting at Head Wrightsons. My father-in-law Thomas William Heslop is second from the left on the back row. Photograph and details courtesy of Judy Heslop. 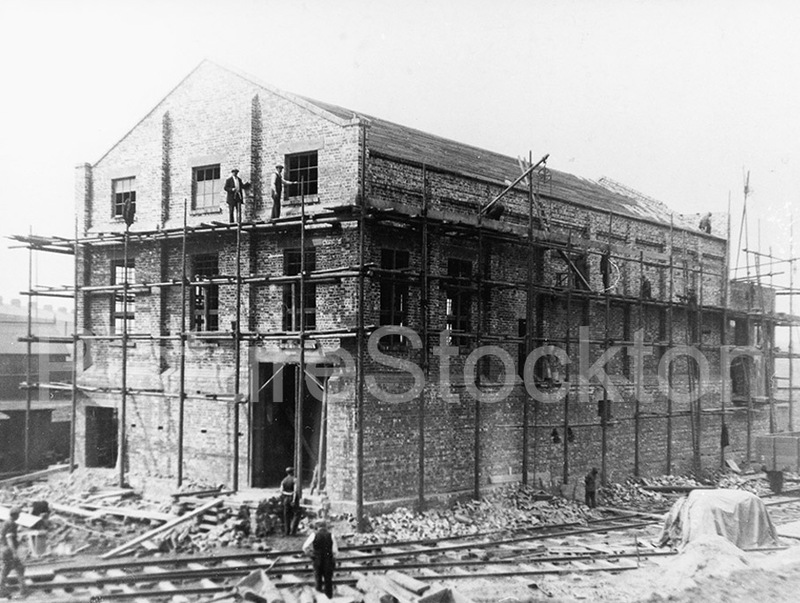 Wooden scaffolding erected around a building at Haverton Hill shipyard. c1919. The crane shop at Ashmore, Benson & Pease. 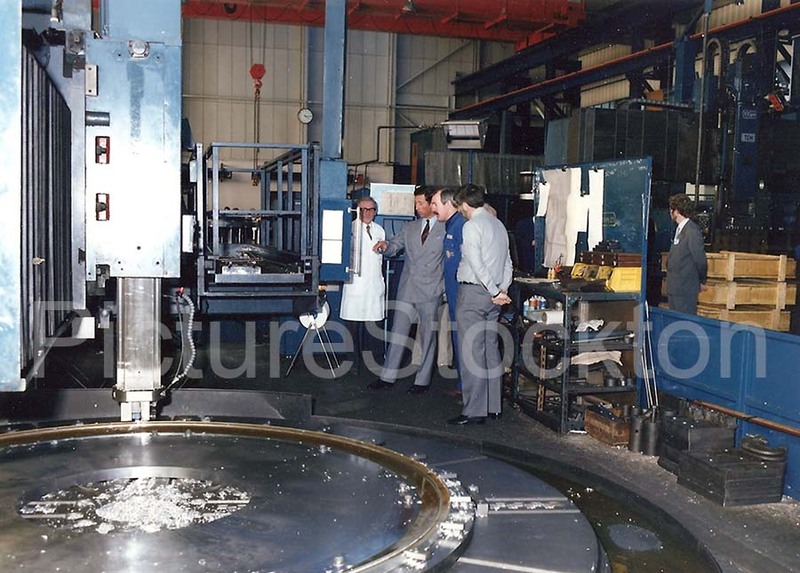 My dad Frank Todd worked at Head Wrightson during the 1970s, he is the man with the googles. 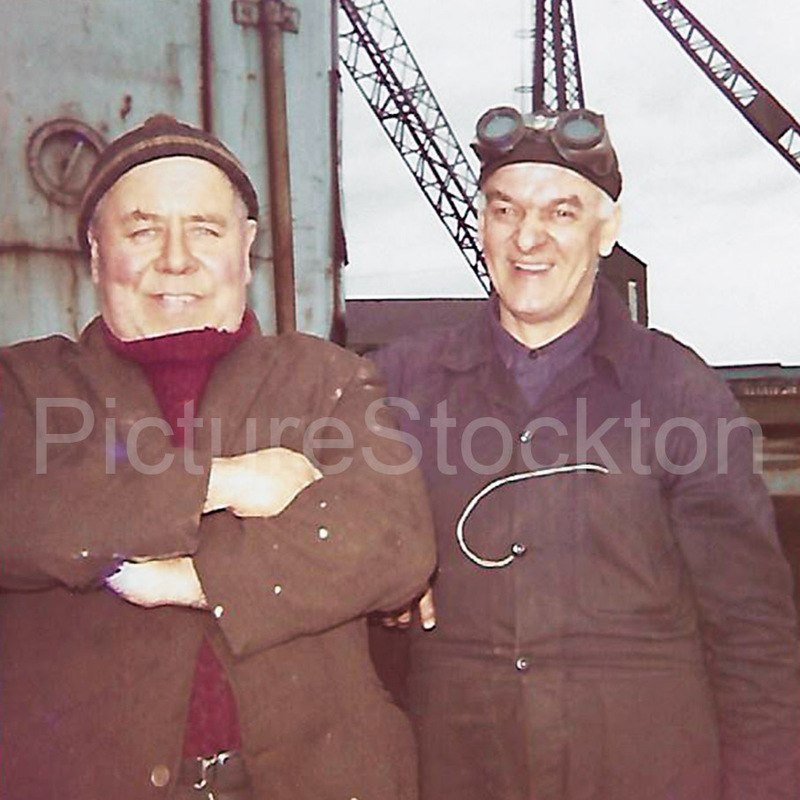 The first photograph shows my dad Frank (left) and George Parker (right). Does anyone know the other men? Photographs and details courtesy of Sue Bell. 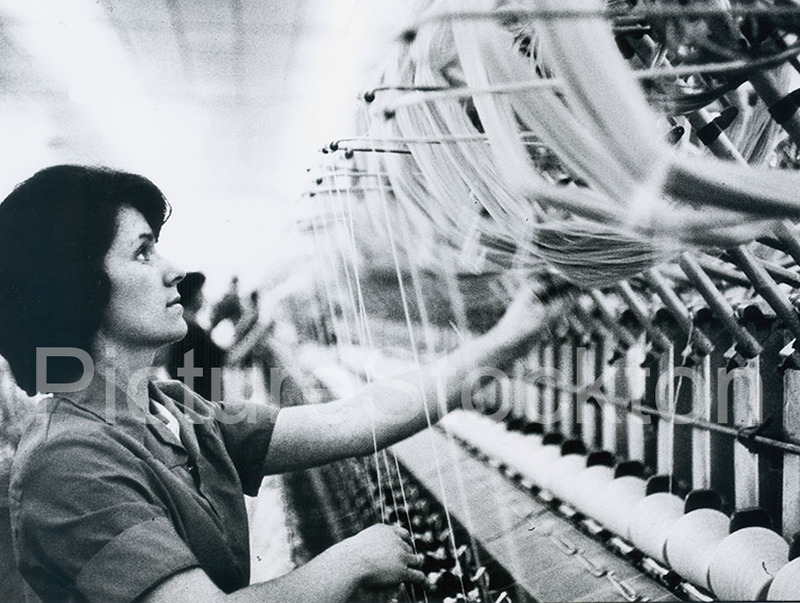 Did you work at Head Wrightson? Do you know friends or relatives who worked there? Did you work at Head Wrightson? Do you know friends or relatives who worked there? We need your thoughts, memories and reflections to help preserve a very special collection of photographs. 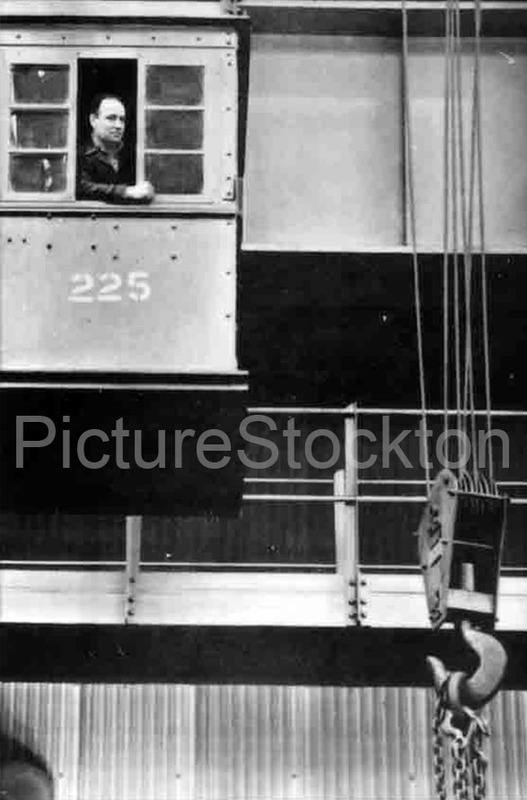 Chief Photographer at Head Wrightson’s Research and Development department, Alan Simpson, donated his negative collection to Stockton Borough Libraries. 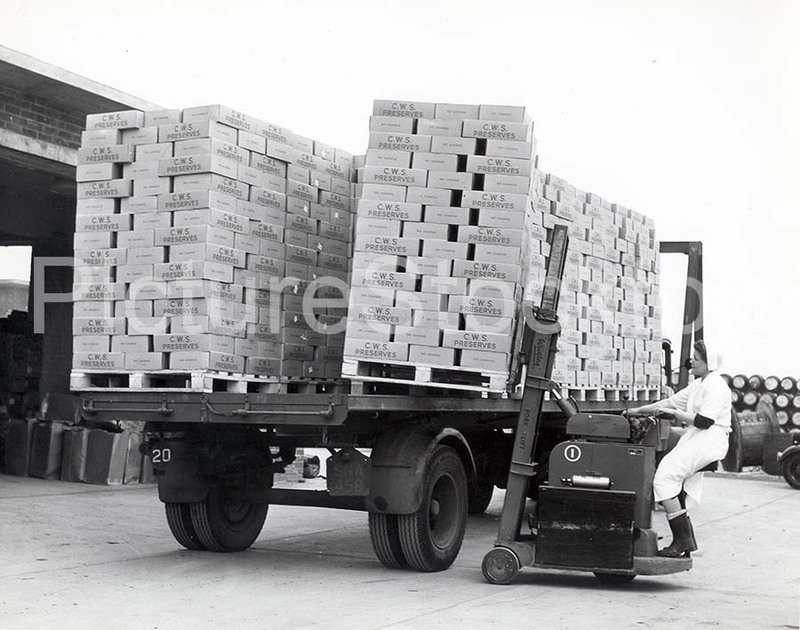 The collection contains over 16,000 negatives detailing the work carried out by Head Wrightson from 1958-1978 with hundreds of images of employees at work and play, providing a fascinating insight into the culture of the company and of the time. 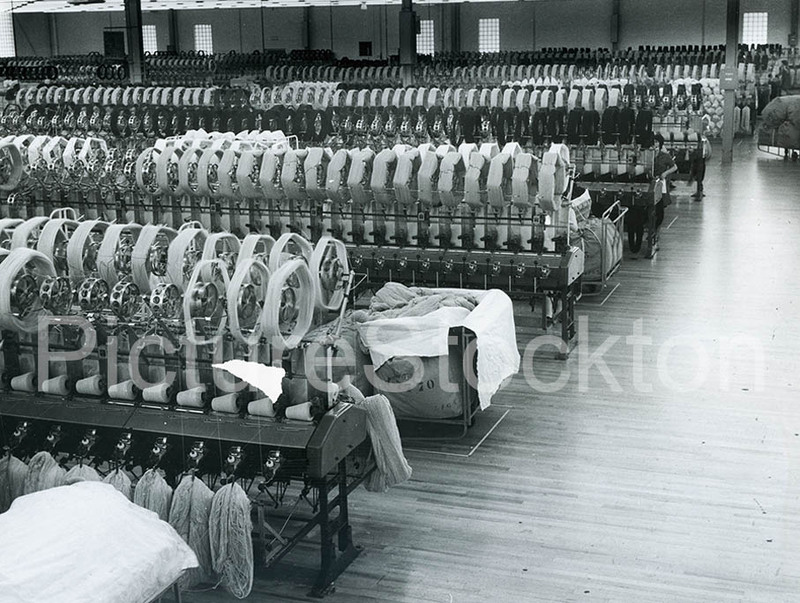 Inside Harkers Engineering no.4 shop which used to operate out of Church Road, Stockton. 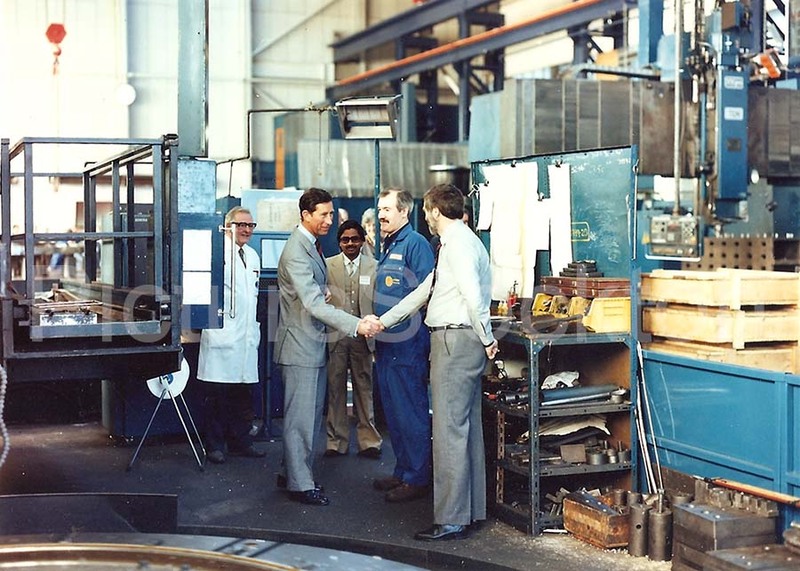 Included in the photographs are John Taylor, Norman Bellerby, Mike Round and Prince Charles who visited in the company in 1987. 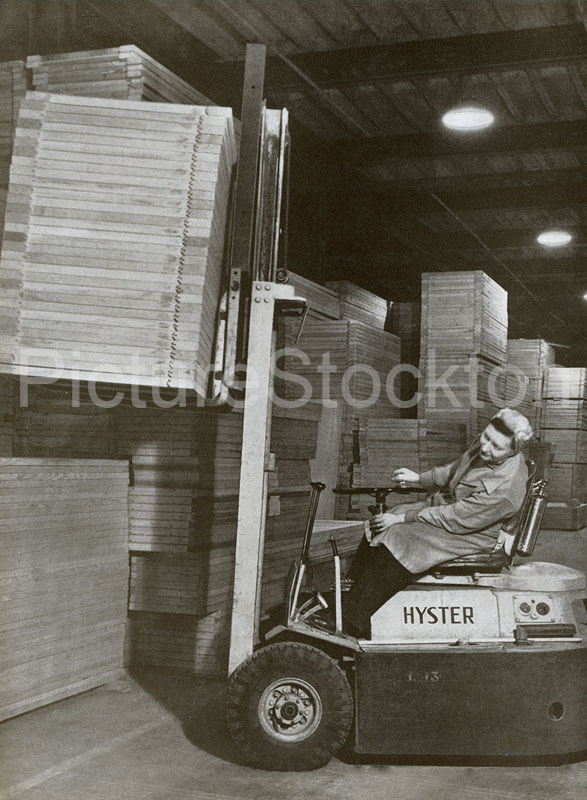 A forklift driver loading boxes onto delivery truck at the Jam Factory (CWS Preserves Factory) on Yarm Road, Stockton c1950s. Photograph courtesy of Julie Allinson. 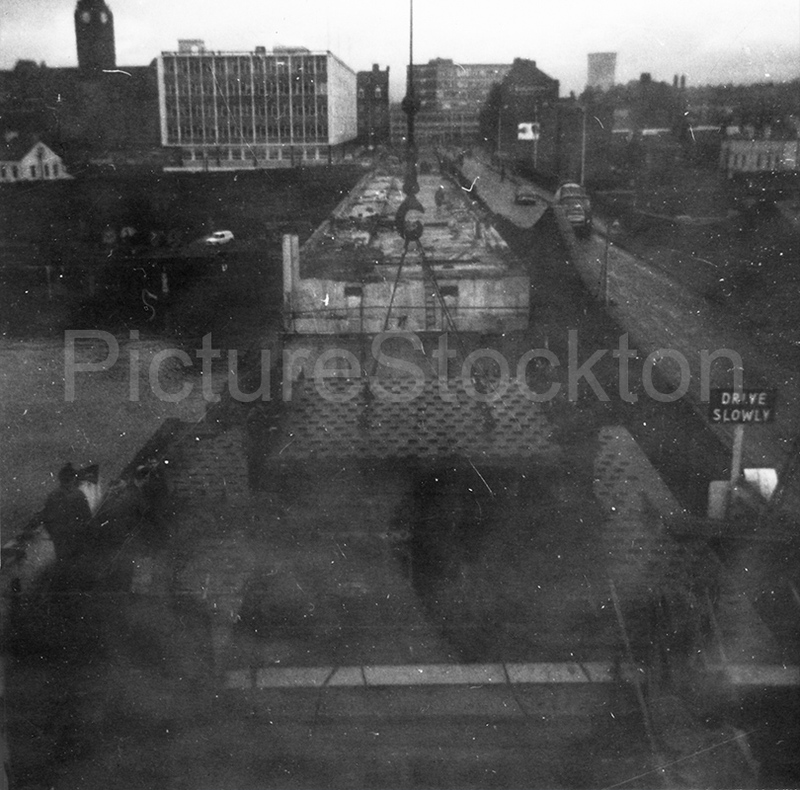 This picture comes from the NCAP collection, which includes some excellent aerial pictures of Stockton and Billingham. Anyone can use it. At this point of time, Blacketts had just about worked through the first 30 feet of boulder clay, which was used for brickmaking. The chimneys indicate that there were are least two sets of kilns which were coal fired. 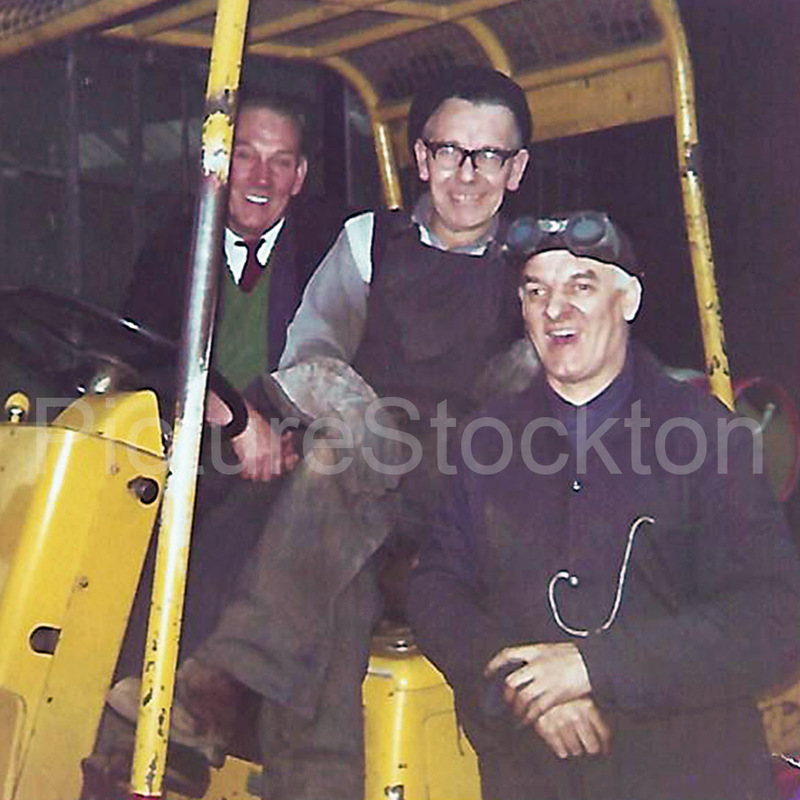 The pictures are clear enough to show the bogies (trucks on a miniature railway) that transported the clay to to the works. They were mostly cable hauled, excepted for the last bit were the labours would bush them to where the steam powered digger was working. This can be seen, in shadow, at the top middle of the picture. There is a white flare of steam coming out of the top. 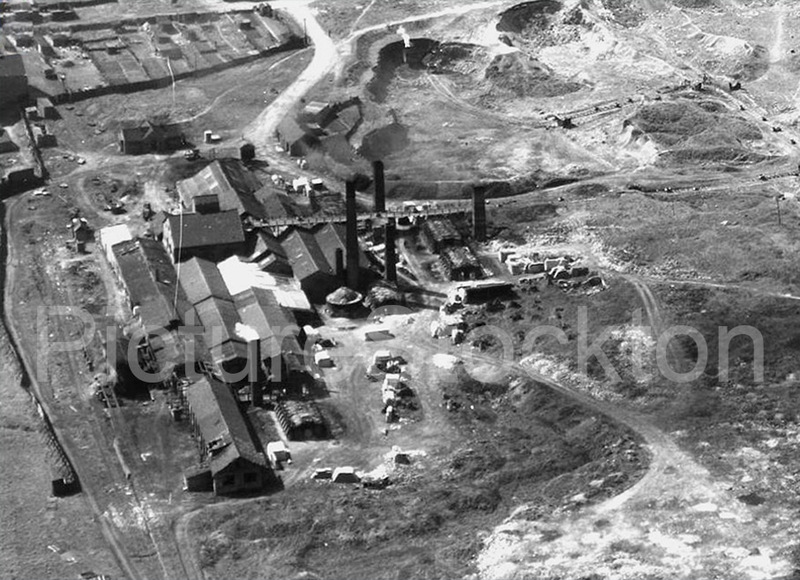 This picture shows that my Drawing of Blacketts Brickworks, 1966 was pretty accurate. Details courtesy of Fred Starr.